The House of Delegates (HOD) Business Meeting takes place immediately before every ISDH in the days preceding the symposium. The HOD comprises two representatives of each full member association along with the 5-member Board of Directors and Executive Director. 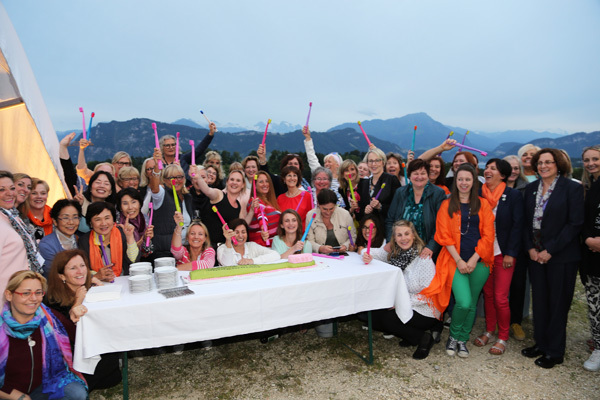 Umbrellas were out on arrival to Lucerne, but it didn't dampen the spirits as proceedings kicked off with a Welcome Reception on Sunday evening, 19th June, to allow everyone to meet and catch up with some new and familiar faces! 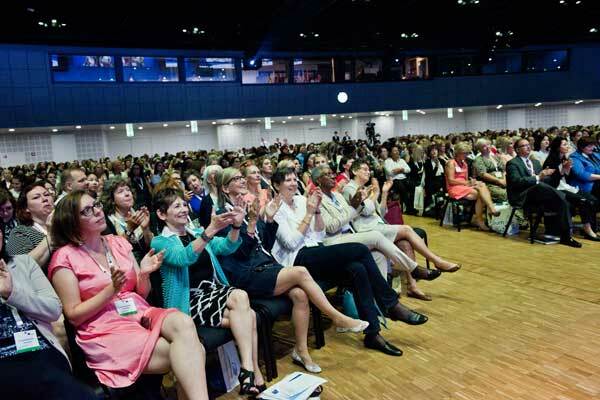 In total, 23 countries were represented along with a number of Observers and Individual Members. 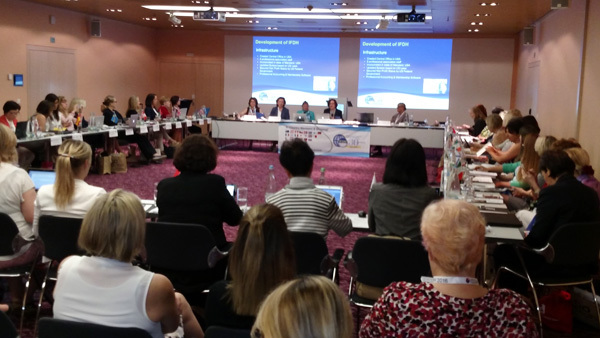 There are 32 country members in the IFDH, with Singapore ratified as a new member in Lucerne and United Arab Emirates attending for the first time. 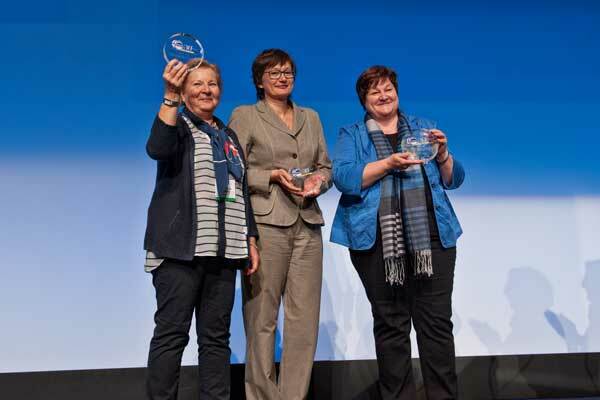 There were also a number of observers from made up from individual members, member associations and translators. The room was filled to capacity! Once the meeting starts it finds its rhythm and business was completed with efficiency and good humour, with all members taking an active part in the proceedings. 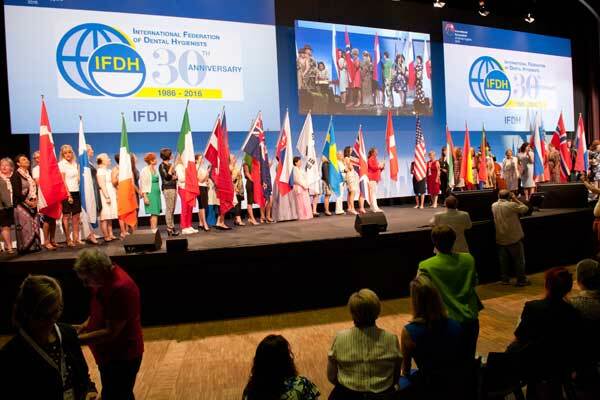 President JoAnn Gurenlian surprised everyone during the opening of her report with a video highlighting the IFDH 30th Anniversary, showing pictures of the organization over the years, testimonials from several in the industry and a summary of current IFDH programs. 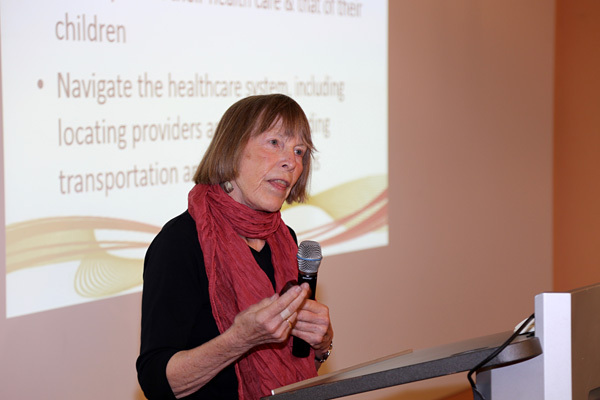 Significant highlights included the voting of the new board, goals set for 2016-19, an update from Korea on plans for the 2019 ISDH in Seoul, the bids and voting for the 2021 ISDH. Dublin, Ireland became the chosen venue for 2021. A full afternoon Social Responsibility Workshop, sponsored by DENTSPLY/Sirona, Colgate and GSK was designed to build awareness amongst the House of Delegates. 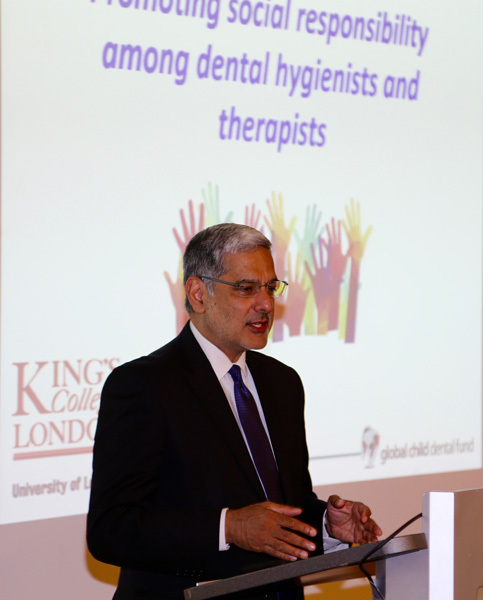 Speakers from the US (Dr Alice Horowitz of the Horowitz Institute for Health Literacy), and UK (Professor Raman Bedi, Chair of the Global Child Dental Fund and Senior Dental Leaders program) educated those present on health literacy and leadership responsibilities for a successful social responsibility program. This workshop set the stage for delegates to understand their role in supporting social responsibility programs within their respective countries and worldwide. 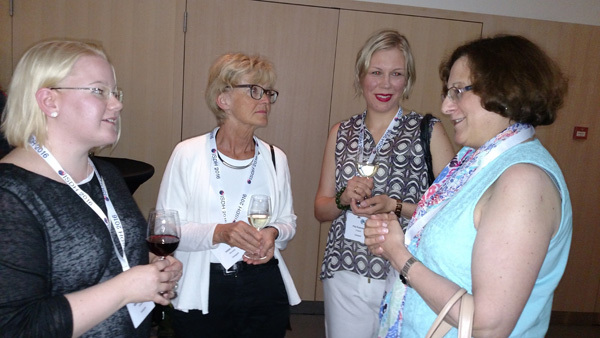 After a long day there was the chance to socialise with member countries and discuss issues that were of interest to the worldwide dental hygiene profession. Thanks to Curaprox and Oral B respectively for their hosting of these evenings. 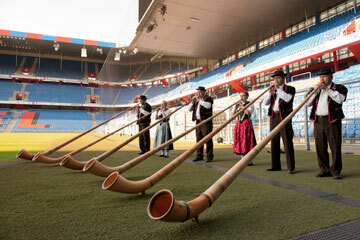 A final thanks goes to the Swiss local organising committee who did an excellent job of organising the HOD meeting. 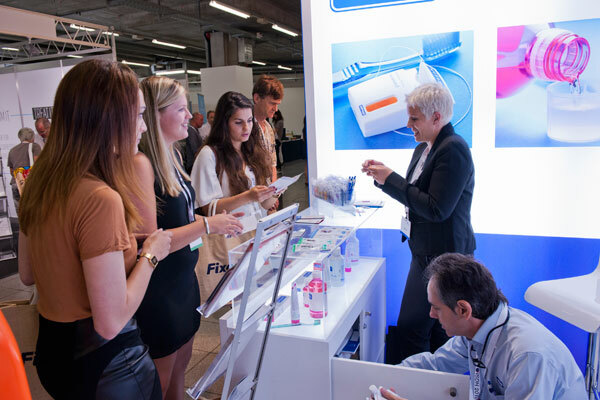 With 1700 participants, more than 60 exhibitors, numerous oral presentations and 81 posters, the 30th Anniversary ISDH symposium in Basel, Switzerland was a great success! The feedback from participants, exhibitors and sponsors was very positive and thanks go to the Swiss Organizing Committee for presenting such a professional symposium and social activities that were enjoyed by all. 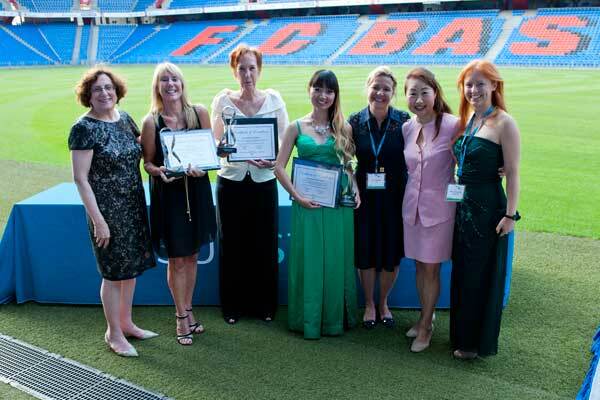 Once again, Mayumi Kaneda of Sunstar Global presented the Sunstar Dental Hygienist Awards to some outstanding and well deserving colleagues at the Gala Dinner at St Jakob stadium. Click here to see many albums on Flickr.